Born in Beverly, Massachusetts, Will Barnet is more often claimed by Maine, Pennsylvania, and of course New York. His career as an artist and America's foremost printmaker has evolved from 1930's "social realism" to 1940's "cubism" to 1950's "geometric abstraction" based upon American Indian motifs and since 1961 "figurative realism". In the final decade of his life, he returned to abstract. Barnet studied at the School of the Museum of Fine Arts in Boston and in 1930 studied at the Art Students League of New York - beginning his long association with the school. In 1936 he became official printer for the Art Students League and later instructed students in the graphic arts. He taught at Yale and at the Pennsylvania Academy of Fine Arts. Barnet moved counter the mainstreams of the art world. In the 1930's he was a "social realist" depicting the depression era when the "Ashcan School" and "Art Deco", were mostly in vogue. In the 1940's when "American Regionalism" was most popular, Barnet adopted a form of "Cubism". During the decade of the 1950's when the New York School of "Abstract Expressionism" was receiving international attention Barnet chose his inspiration from "American Indian space designs". In the early 1960s when "Pop Art" and "Op Art" were fashionable he turned to contemporary figurative work inspired by the two dimensionality of Egyptian style compositions. During the past decade, "Contemporary Realism" has prevailed in art, but Barnet had returned to a newer version of what he liked in the 1950s, as if he was not finished with exploring that part of his work. It would have been much easier for him to jump on any of these "artistic bandwagons" but he never thought that art should be easy, instead he enjoyed the challenge. The Harmon-Meek Gallery has represented Barnet since 1973 and has had solo exhibitions since 1974. 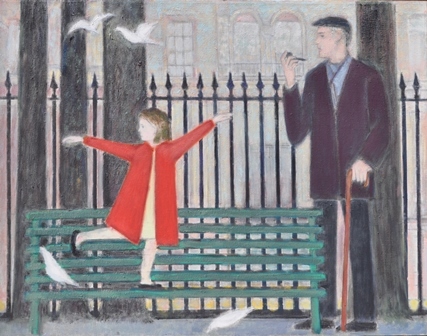 His works are part of virtually every major public collection in the United States, including, the National Gallery of Art, the Metropolitan Museum of Art, the Whitney Museum of American Art, the Museum of Modern Art, New York, the Museum of Fine Arts, Boston, the Philadelphia Museum of Art, and the San Francisco Museum of Modern Art. 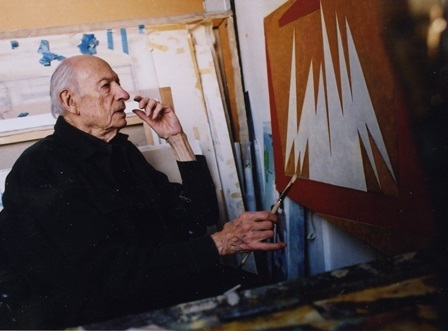 He has been the subject of over eighty solo exhibitions held at the Virginia Museum of Fine Arts, the Museum of American Art of the Pennsylvania Academy of Fine Arts, the National Academy of Design Museum, the National Museum of American Art, Montclair Art Museum, and the Boca Raton Museum of Art among others. The most recent museum acquisition was a 1940's oil "Old Man's Afternoon" by the Montclair Art Museum arranged by the Harmon-Meek Gallery. Barnet will truly leave a legacy the likes of which will never be repeated. It is unlikely that any artist will witness the dozens of changing art forms from Cubism to Video art that transpired over the past eight decades. He attended the openings and visited the exhibitions of thousands of artists and supported nearly all of them in one form or another. His attendance at another artist's reception was a great honor for that artist. He will always be remembered for the kind and inspired manner in which he treated his fellow artists, always supportive and never jealous of their own successes.